Oh, it’s the downside of almost any relationship—people always want to change each other. Gifts, unfortunately, are one of the many ways we communicate our ignorance to accept our loved ones for who they really are. The trending one at the moment is “darling, I think you should lose some weight” (yes, yes, it’s to all of you who got a gym membership for your husband/boyfriend’s birthday). At best, they were grateful you didn’t give them another aftershave, and at worst they started to secretly hate you. Make sure you always recognise the difference between your needs and the needs of the person you are choosing the gift for. 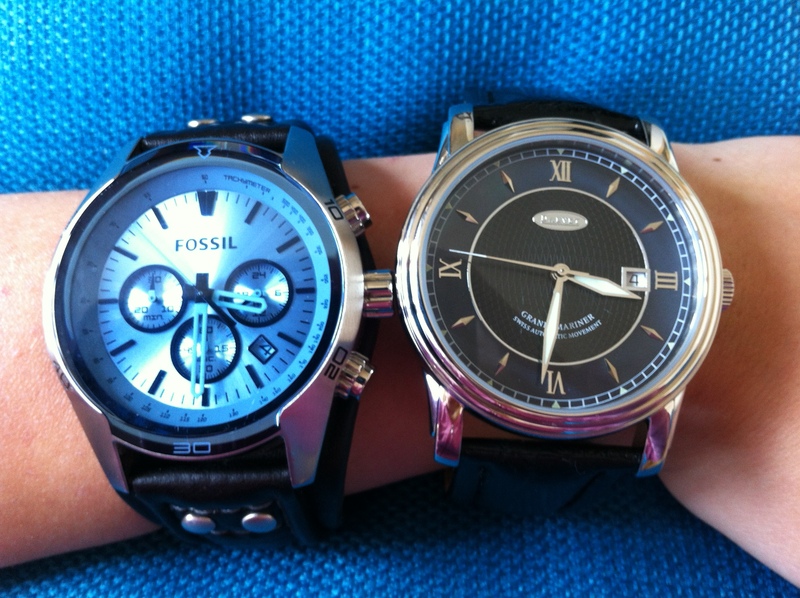 For example, I thought my boyfriend needed a better wristwatch (that’s my way of saying “honey, I don’t like your watch”). What happened next defined why my gift didn’t turn into a disaster. I used his existing watch as the starting point. He must have liked that watch for something! I researched the brands I trusted and liked, and found the watch that fit the profile. It satisfied my wish for better style and craftsmanship, whilst also maintaining the most significant features of his current watch. There was no point in giving him a watch with a stainless steel bracelet (he is so used to soft leather) or with a brown dial (his wardrobe is pretty much a combination of grey, black and blue). The result of these efforts—my man is happy and proudly wearing his watch every day. Don’t be afraid to use existing things as you inspiration. Don’t reinvent the wheel, upgrade it instead!